Iconic Norway Spruce, perfect for bringing indoors each Christmas. Will grow an additional 20-30cm a year. Supplied as a pot grown tree approx 1.2M tall inc pot, to either plant out into garden, or grow in large pot. Slow growing. 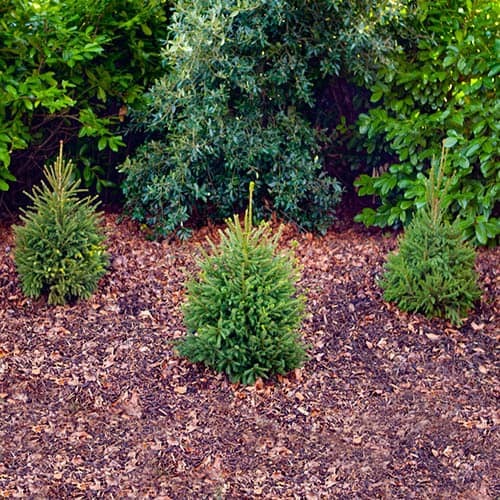 Why not grow the iconic Christmas Tree, or Norway Spruce Pine tree as it is commonly known, in your garden, so you can have a large feature tree year after year to light up your garden and get all festive! These quality British grown trees are already 1.2M tall, and will slowly grow 20-30cm a year, so quite quickly you can have a really impressive permament Christmas tree for many years to come. They make a lovely evergreen garden specimen tree anyway, their sculptural form adding colour and shape to any gardens, they grow equally well in sun or light shade, or as a specimen lawn tree.